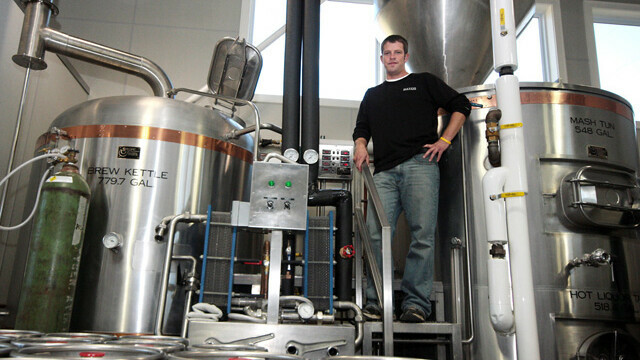 About: This relatively new Menomonie brewery is already making waves around the region. The small operation features four beers (but with ambitious plans for more), including Ride Again and Farmer’s Daughter, which are fan favorites. Interesting Fact: The brewers keep up a blog on their website focusing on local beer production, with insightful posts about the beer industry and, of course, what’s going on at Lucette. Visit: Tours are offered the first and third Saturday of every month at 2 p.m. at their brewery – 910 Hudson Rd., Menomonie. About: The Das Bierhaus brewery and beer hall brews only for their location, but –partnered with traditional Bavarian food – it’s worth a trip. They have a variety of traditional German beers that, yes, you absolutley can drink out of a massive boot. Interesting Fact: All of Das Bierhaus’ beers are brewed to the standards of the Reinheitsgebot – a Bavarian purity law from the year 1516 which dictated a simple brewing process. Visit: Beers are available at the restaurant, as are tours as long as the braumeister is not brewing – 120 W 6th Ave., Menomonie. About: Sand Creek is one of the larger microbreweries in Wisconsin and brew some exceptionally popular beers, including their Oscar’s Chocolate Oatmeal Stout (which has been lauded at the World Beer Cup) and their Hard Lemonade. Interesting Fact: Sand Creek is the most recent iteration of a long brewing tradition in Black River Falls, dating back to the Oderbolz Brewing Co. in 1856. Visit: Tours are offered Fridays at 3:30pm and a tap room is open on Fridays and Saturdays through the summer. You can also schedule a tour by calling 284-7553 – 320 Pierce St., Black River Falls. About: Hailing out of Banbury Place, Lazy Monk is a small, but busy, brewery. They produce two flagship brews – a pilsner and a dark lager – but have a host of seasonal and limited products as well, including an Oktoberfest that is simply to die for. 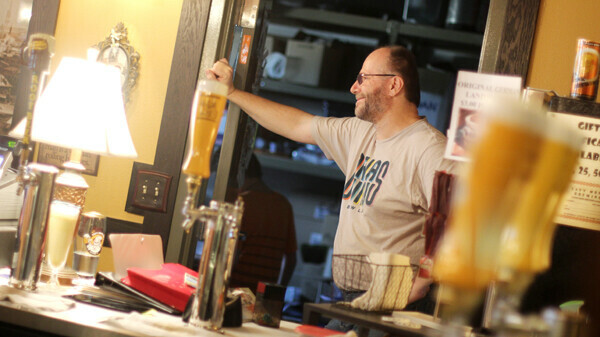 Interesting Fact: While brewer Leos Frank hails from the Czech Republic, the brewery is amazingly local, with a brew house that was built by a local metalwork shop. Visit: Lazy Monk now has a tap room that you can visit Wed.-Fri. from 5-8pm or reserve for private functions – 320 Putnam St., Eau Claire. About: Northwoods Brew Pub is home to a host of beers brewed on premises under the Northwoods name, including Floppin’ Crappie, a sweet ale, and Lil’ Bandit Brown Ale – both of which have been recognized at large beer competitions. Interesting Fact: Besides the Northwoods brews, the brew pub also reincarnated Walter’s, an Eau Claire beer since 1874 and – most famously – the Beer That Is Beer. Visit: The brew pub is open seven-days-a-week and always has beer ready for the serving – 3560 Oakwood Mall Dr., Eau Claire.